Summary: In a colorless world, Annabelle finds a box filled with multi-colored yarn and begins knitting for herself and others. Miraculously, the yarn never runs out. As Annabelle brushes against criticism for her knitted pieces, she knits for the one who is criticizing and all are converted to the beauty and transformational nature of her work. When a rich archduke wants to purchase the extraordinary yarn and Annabelle refuses, he steals the box. Once in his castle, he opens the box to find it empty. Angrily he throws the box out into the ocean where it floats back to Annabelle so that she can continue her knitting. Hanna’s Comments: This metaphor of how a young girl’s loving creativity can transform a community is intriguing. 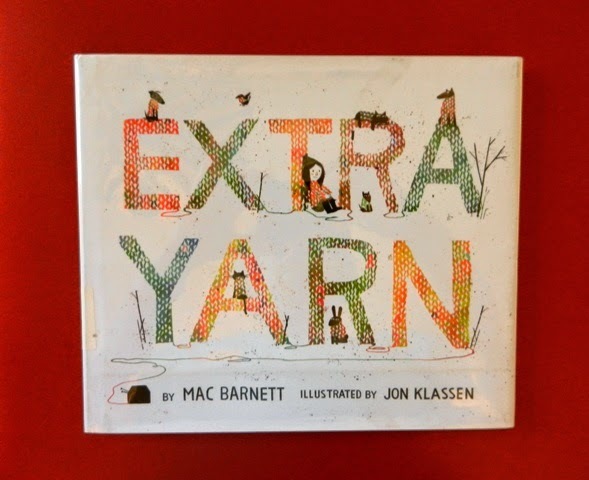 I especially like the way the illustrator leaves a piece of yarn attaching each character to another, demonstrating the loving bonds Annabelle is creating with her generosity. Idea(s) for Application: This book offers a beautiful metaphor for spreading love with your giftedness. Share with a group doing prayer shawl ministry or use in any lesson on the transformational & healing power of generosity and good works for others.